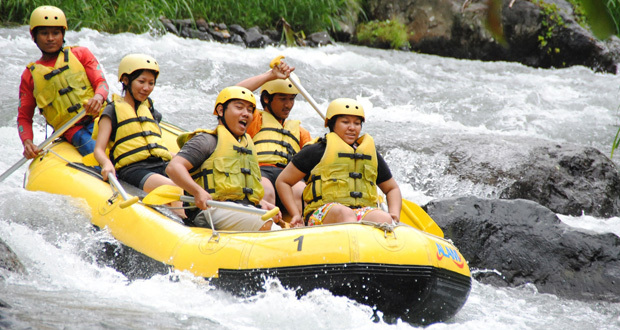 East Bali offers a wealth of culture, natural beauty and outdoor activities. Choose from snorkeling, trekking, visiting traditional villages and temples, rafting and more. 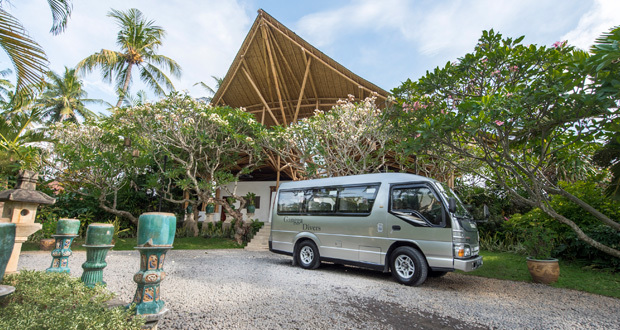 Just ask the front desk for help in arranging tours and breathe in the sights and sounds of eastern Bali and beyond. Allow us to take a moment to highlight some of the many places you can visit and things you can do during your stay with us. Snorkels, masks and fins are available for hire while joining our organized snorkeling trips. Alternatively, you could enjoy a fishing excursion in a traditional Balinese fishing boat, and ask our cooks to prepare your catch-of-the-day to your own taste. East Bali is renowned for its spectacular beauty and the traditional lifestyle of its people. One of the best ways to discover this is by walking through the countryside and observing firsthand the life of the local families as they go about their daily activities. A good physical condition is advised for our guests to truly enjoy this excursion. 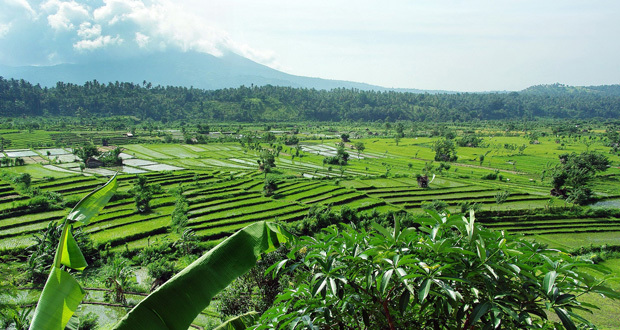 A great way to view the surrounding countryside is to climb Gumang Hill which is surrounded by picturesque rice terraces and affords spectacular views of Mount Agung. An early morning trek is recommended to watch the sunrise. This trek is really off the beaten track and crosses through numerous rice terraces and small farms, allowing you to truly appreciate the native landscape of Bali. It finishes at the fascinating village of Tenganan, famous for its double-ikat weaving and unique basket weaving. For the truly adventurous, perhaps you would like to consider a 4 hour climb up the slopes of Mount Agung - reaching the top just in time for the spectacular sunrise. Depart from the hotel at 2am to ensure you reach the top by 7am. Note: This trek is only recommended for those who are in good physical condition and are seeking a challenge. All treks are escorted by experienced and knowledgeable guides. The spirit of adventure begins up in the hills around sacred Mount Agung. Here the untouched forest and emerald green paddies feed water into the valley that channels the Telaga Waja River into a gushing river heading for the coast. Flowing from the sacred mountain, the waters of the Telaga Waja are holy to the Balinese. During the trip you will travel 14km along the river and descend over 200 meters down the mountainside - fast, furious fun. Lotus Bungalows will do everything possible to ensure your stay is enjoyable and memorable.